The CBI has already initiated the process to extradite the fugitive businessman from Antigua and Barbuda. The probe agency recently sent a request to Antigua under the UN Convention against Corruption as both countries are part of the convention. Billionaire diamantaire Mehul Choksi can be extradited from Antigua under Commonwealth law. 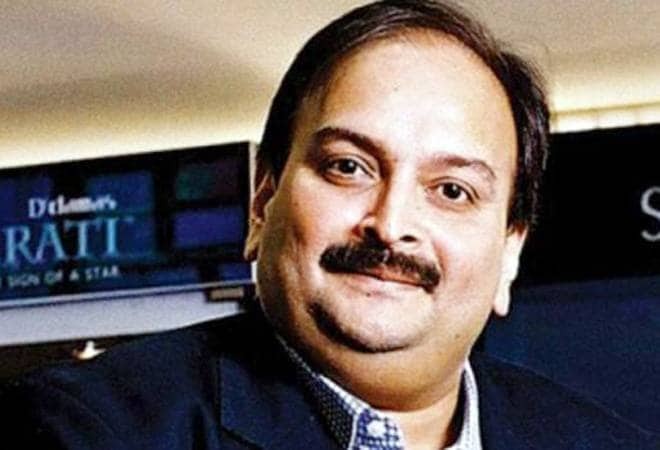 According to a report in the Economic Times, Antigua recently informed India that in the absence of a bilateral treaty, Mehul Choksi can still be extradited to New Delhi as both countries are members of the Commonwealth of Nations. The Antiguan authorities are of the view that Section 7 of its Extradition Act, 1993, provides scope for acting on India's request to send back the fugitive jeweller, the report said. The view of the Antiguan government was shared with the Indian envoy when he called on the country's Foreign Minister EP Chet Greene and solicitor general Martin Camacho, the business daily reported. The CBI has already initiated the process to extradite the fugitive businessman from Antigua and Barbuda. The probe agency recently sent a request to Antigua under the UN Convention against Corruption as both countries are part of the convention. The UN Convention against Corruption is the only legally binding universal anti-corruption instrument. The Convention covers five main areas: preventive measures, criminalisation and law enforcement, international cooperation, asset recovery, and technical assistance and information exchange. It also covers many different forms of corruption, such as bribery, trading in influence, abuse of functions, and various acts of corruption in the private sector. The UN Convention aims at returning assets to their rightful owners, including countries from which they have been taken illicitly. According to reports, a team comprising officials from the Ministry of External Affairs (MEA) and other agencies was sent to Antigua a couple of days ago to request the Antiguan authorities to extradite Choksi. The team met the Foreign Ministry officials of the Caribbean nation and handed over the request to extradite the jeweller to India. The team, which was led by Additional Secretary in the MEA's Consular and Passport Division, also presented details of the case against Choksi who is one of the alleged masterminds of the multi-billion PNB scam along with his nephew Nirav Modi. The reports suggest that the Antiguan authorities cleared Choksi's citizenship in November 2017. This year on January 4, Choksi fled India and took oath of allegiance in Antigua on January 15. Under the Citizenship by Investment Program of Antigua and Barbuda, a person can take their passport on a minimum investment of USD 1,00,000 in the National Development Fund.